In an effort to build train passenger traffic in the West, W. Averell Harriman, the then chief executive of the Union Pacific Railroad, arranged for Felix Schaffgotsch to find a site for a ski resort. Schaffgotsch selected Ketchum, Idaho over other areas including Aspen, Yosemite and Mt. Rainier. Construction began in 1936. The original plans for a ski resort in Sun Valley, Idaho did not at the time include Bald Mountain. Initially, the ski resort's mountains included Dollar and Proctor Mountains. The ski technology of the 1930's was not yet sophisticated enough to handle the height of Bald Mountain. Construction on the Sun Valley Lodge began in 1936 and in approximately seven months, the lodge was completed and ski runs were created on Dollar and Proctor Mountain. The cost at the time was $1.5 million. Steve Hannagan, a public relations professional, was responsible for marketing the new ski resort. 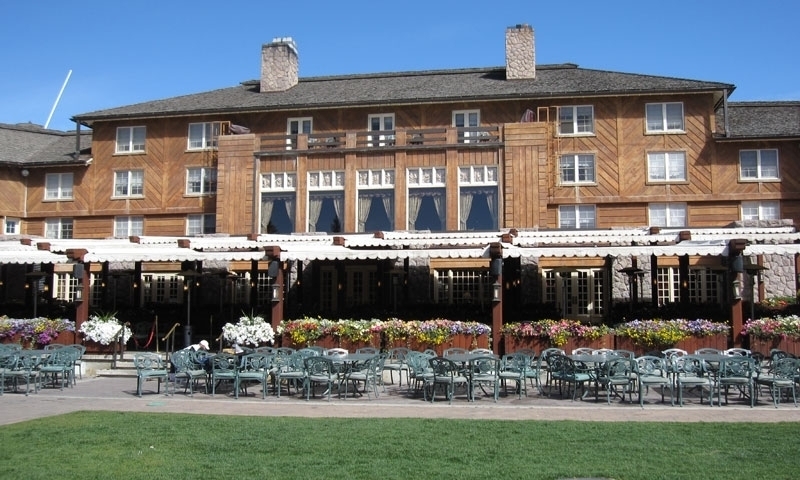 Hannagan named the lodge and the facilities Sun Valley. He also arranged the attendance of such celebrities as Errol Flynn and Clarke Gable on opening night. The new ski resort was a success and by the second winter, construction was completed on the Sun Valley Inn. Born out of Harriman's desire to have his customers ascend the mountain in comfort and style, Harriman had the Union Pacific engineers to design a chair lift. The innovations continued with the world's first ski school opening in Sun Valley and the world's first child-sized cross-country tracks designed here. The Janss Corporation purchased Sun Valley in 1964 from Union Pacific. Then in 1977, the Resort was sold to R. Earl Holding. Created to increase passenger traffic for the railroad, Sun Valley no longer has any railroad service. The railroad tracks location is now the location of the Wood River Trail System. Sun Valley has continued to grow. Visitors and local residents continue to enjoy all of the various outdoor recreation opportunities in the area. Visit the Blaine County Historical Museum.